PROTECT YOUR PLANTS WITH N-SULATE FREEZE CLOTH! PROTECT YOUR PLANTS WITH N-SULATE! Available now at J & J Nursery & Madison Gardens Nursery, Spring, TX! 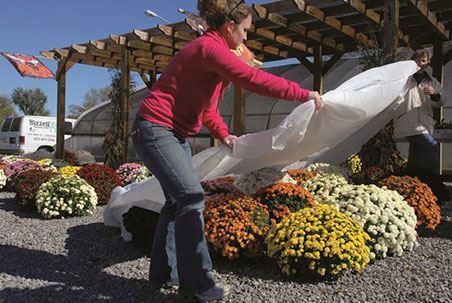 N-Sulate is a medium weight, permeable, UV-treated fabric (freeze cloth) designed to protect flowering annuals, bedding plants and vegetables from the severe cold and freezing temperatures. This fabric installs easily and is reusable. 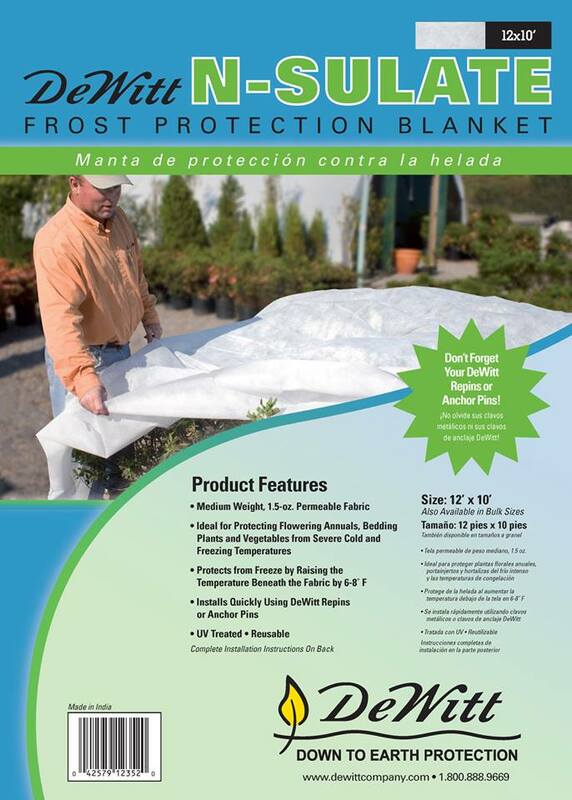 N-Sulate freeze cloth protects your plants from freezing weather! This entry was posted in Freeze Cloth, Freezing Weather Plant Tips, Spring, The Woodlands, Tomball, TX and tagged freezecloth, freezing, jjsnursery, madisongardensnursery, nsulate, protect plants from freezing, springtx on January 12, 2018 by jjsnursery.